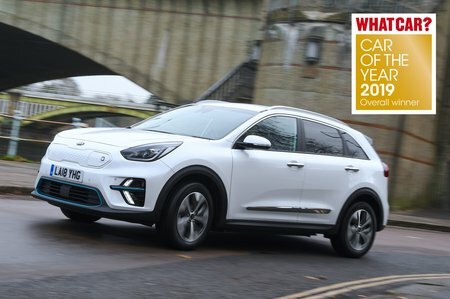 Kia e-Niro Interior, Sat Nav, Dashboard | What Car? An eight-way electrically adjustable driver’s seat comes as standard in the e-Niro, with variable lumbar support so you can twiddle with your seating position until your heart’s content. There’s no memory function, though, so you’ll need to set it up again after someone else has been driving. The steering wheel has a generous range of height and reach adjustment, too. Overall, it’s a better driving position than you get in rivals such as the Kona Electric and particularly the Nissan Leaf, which lacks reach adjustment for its steering wheel. There’s no problem with forward visibility in the e-Niro, plus you get a good over-the-shoulder view, thanks to decent-sized side and rear windows. The view out the back is also good, and slightly clearer than it is in the Kona Electric. Parking shouldn’t be too taxing either, because front and rear parking sensors as well as a reversing camera come as standard. Bright bi-xenon headlights are also standard, giving you good visibility at night. 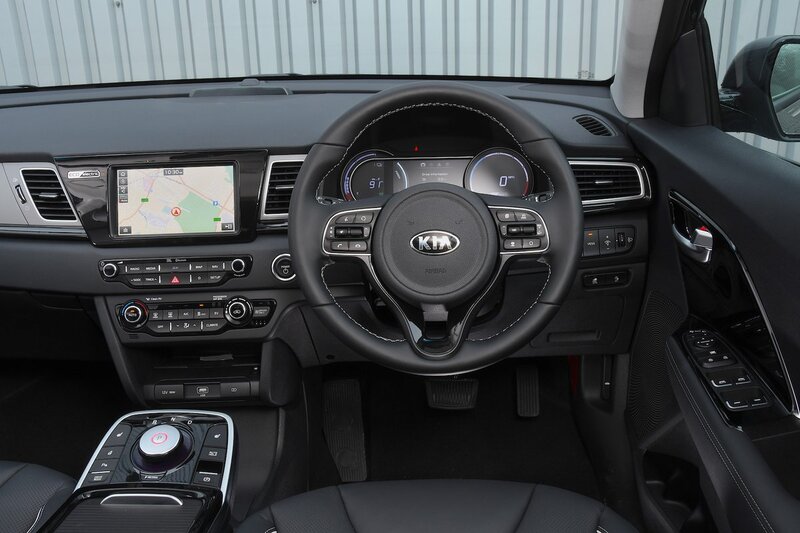 An 8.0in touchscreen comes as standard, as does a DAB radio, Bluetooth, sat-nav, Apple CarPlay and Android Auto, which let you use certain smartphone features on the move with greater safety. While it isn’t quite up there with the best systems in the electric car class (iDrive in the BMW i3, for instance, is a superior setup), it won’t leave you frustrated, thanks to clear menus and crisp graphics. However, while there are some helpful physical shortcut buttons along the side of the display, some of the touchscreen icons are on the small side, which makes hitting them on the move a bit more difficult than it might be. An impressively punchy eight-speaker JBL sound system comes as standard. 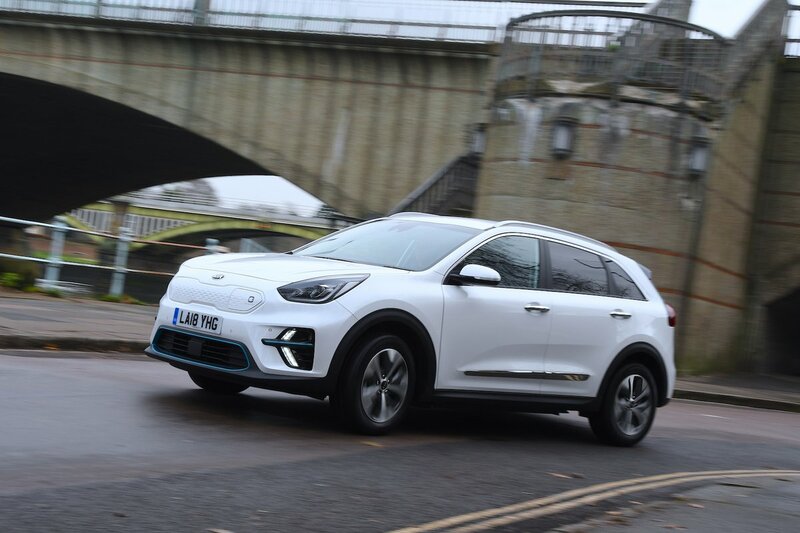 There’s not much visual pizzazz to be found in the e-Niro’s interior, but it is built from a decent mix of squishy plastics and generally feels a cut above many key rivals, including the Kona Electric and Nissan Leaf. Not all the materials are from the top drawer, though – the plastic covers over the USB port and 12V socket feel a bit flimsy and while some of the materials around the gear selector are decidedly low-rent. Still, it’s only really the Volkswagen e-Golf and BMW i3 that show the e-Niro up at this price point.